After Patterson completed his work with calculating the age of the Earth, he turned his attention to a problem he had discovered during his research. He was perplexed at the amount of lead contamination in the atmosphere. Furthermore, he was surprised that the general population was not aware of the effects of lead on the human body. This was mainly because for the last forty years, all studies done on the effects of lead had been done by doctors with no specialized training in chemical pathology and who were primarily funded by the manufacturers of lead additives, notably the Ethyl Corporation. One of these doctors hired by the Ethyl Corporation was a man named Robert Kehoe. His job was to perform scientific research to raise doubt in the public that lead was poisonous. Some of his reports stated that there was no evidence that lead was toxic, that since it was naturally occurring it could not be deadly, and that if workers are overexposed to it, then it is simply an issue of regulations within a company. Kehoe was able to persuade the public that lead poisoning should not be seen as an issue. Patterson deduced that a vast amount of lead in the atmosphere was due to emissions from automobiles. 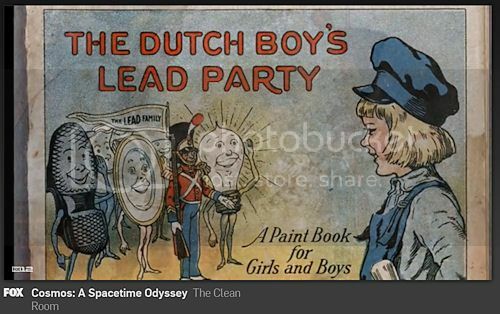 In order to prove that lead emissions had begun to pollute the Earth’s atmosphere, he had to find a way to compare atmospheric levels of lead at the time to levels before 1923, when tetraethyl lead was introduced to the public. He was able to make this comparison by studying lead content in the oceans. In this study of lead in the deep ocean, he found that there were minuscule amounts of lead in deep ocean water, but there was hundreds of times more lead in shallow waters. Patterson knew that it took hundreds of years for deep and shallow waters to mix in the ocean, which meant that the large amount of lead at the surface of the ocean had recently arrived. He was also able to measure the rate of contamination. Additionally, he found that the levels of lead in the atmosphere had been steadily increasing ever since 1923, and so he made it his new life goal to fight until lead was removed from gasoline and all consumer products. In his fighting against leaded gasoline, Patterson wrote a scientific paper entitled “Concentrations of Common Lead in some Atlantic and Mediterranean Waters and in Snow”. He had his paper published in a magazine called Nature, which was a major environmental health magazine at the time. He also sent copies to government leaders. This paper discussed his findings of large amounts of lead in water and snow from recent years and how they had been quickly increasing since the introduction of tetraethyl lead. After the publication of his scientific paper, Patterson met substantial opposition on his journey to remove lead from gasoline, but he never wavered. He soon realized that his research funding was cut and it became difficult to acquire. His funding from the American Petroleum Institute was cut just three days after the publication of his paper, as the funding was primarily from the Ethyl Corporation, and they even attempted to get him fired. Despite his loss of funding, he received support from the US government, the Navy, the Army, the Public Health Service, the Atomic Energy Commission, and the National Science Foundation. With his new-found support, Patterson was able to continue his research with a team of scientists in Greenland to study the ice sheets. Patterson had the idea that if lead accumulated in the oceans; it must also have accumulated in ice. Snowfall in Greenland accumulates in small annual layers which can be distinguished by a variety of methods. One method includes using visible patterns in the ice. Presence of dust in ice cores can be used to differentiate between seasons of snowfall, and therefore it would be possible to count all the layers in an ice core and find its age. 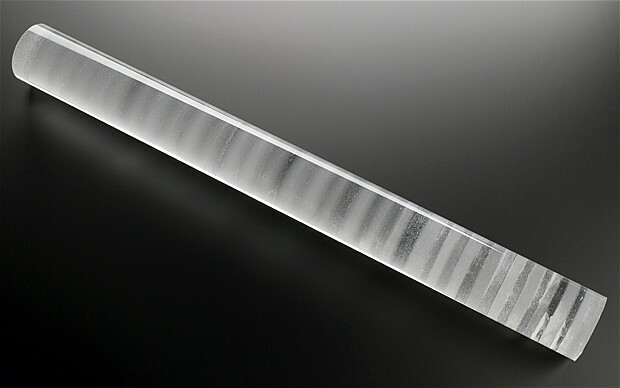 Another method is to do a chemical analysis of the ice core to determine the presence of different hydrogen and oxygen isotopes; however, this method was not developed until after Patterson’s time. Patterson figured out that it would be possible to count back layers and calculate the concentration of lead in each layer. These data would show how much lead was present in the atmosphere in a given season of a given year, and the values could be traced back possibly thousands of years. Through his study of the Greenland ice sheets, he found that there was nearly no lead in the atmosphere prior to the introduction of tetraethyl lead. One of the government officials to whom Patterson sent his paper was Senator Edmund Muskie, who was the chairman of the Senate Subcommittee on Air and Water Pollution. In 1966, Muskie held hearings on the problem of lead in the atmosphere and water. The first witness in these hearings was Dr. Robert Kehoe, the supposed leaded gasoline expert hired by the Ethyl Corporation. These hearings were meant to take place while Patterson was doing research in Antarctica, but he surprisingly appeared to take part and argue against Kehoe. Patterson continued to fight the lead industry for twenty years until he finally won. In 1970, the Clean Air Act was passed, which authorized federal and state limitations on emissions from both industrial and automotive sources. Patterson continued his fighting and research. Another study Patterson conducted was on a remote canyon in the Sierra Nevada Mountains. He found that even remote areas were polluted by lead; specifically the area was polluted by lead from automobile exhaust fumes. In 1975, Patterson and a coworker of his showed that lead in the form of fumes destroyed plant and animal defenses, and damaged their health. In 1979, Patterson conducted an analysis of 1600 year-old bones from Peruvian Indians, and he discovered that they held a vastly smaller amount of lead than the bones of modern-day humans. Patterson used his lab at Caltech to measure the amount of lead in canned tuna. Other labs had shown that there was no difference in the amounts of lead in canned tuna and fresh tuna; however, Patterson was able to find that there was a thousand-fold difference in amounts of lead in fresh tuna than in canned tuna. This find would be able to be applied to all fresh and canned fish, thus showing that lead should not be used in commercial products. Even after the passing of the Clean Air Act, Patterson never stopped fighting, and, in 1986, the sale of all leaded gasoline was outlawed in the United States, as well as lead in any consumer products. This would be known as one of the greatest public health victories of the twentieth century. Patterson always fought for the well-being and betterment of the world and never tried to accommodate special interests in his battles for what was right. He was a role model for the scientific world, and should always be looked up to as someone who always did what is right and never backed down. At this time, many automobiles could only run on leaded gasoline, so when lead was removed from gasoline, the issue of engine knock returned. Due to this, many people had to buy new vehicles, causing the automobile industry to make money from Patterson’s work. In the following years, it was found that average lead levels in children dropped by as much as 75%, and scientists and doctors came to a consensus that there was no such thing as non-threatening amounts of lead in humans.